Dreamforce 2014 will provide amazing insights on social selling, marketing and sales alignment, and more. Here are 25 thought leaders to connect with. To help you map your conference plan, we compiled a list of 25 sales thought leaders that will be crooning magical tunes of social selling, marketing and sales alignment, and sales strategies. The bands are plugging in their amps and tuning their guitars. As you get your lighter…er, sorry…smartphone, in hand, make sure you have front row seating for these innovative entertainers. Renowned speaker and trainer Tony Robbins will take the stage for the presentation “Sales Summit – Maximizing Sales Performance.” He and Walter Rogers, CEO at CloudCoaching International and Baker Communications, acknowledge that the number of distractions facing sales teams is unprecedented, and that it is the sales leader's job to keep their team focused on what matters most. Listen in as they showcase the best ways to maximize sales performance though training and coaching. Founder of InsideSales.com, Ken will discuss the convergence of inside sales and social selling in his presentation, “Inside Sales and Social Selling for Extreme Results.” Discover the research, tips, and best practices his company is pioneering and observing in the top sales forces. Jill Rowley, a self-professed social selling evangelist, and Koka Sexton of LinkedIn, will be teaming together on a presentation dedicated to social selling. 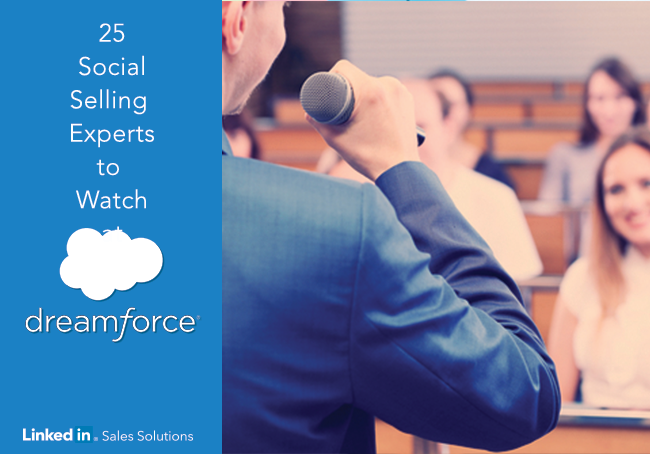 They will help you learn how to leverage social selling for better engagement, relationship building, and sales success. Cofounder at TOPO and the Funnelholic.com, Craig is part of a team of panelists that will help you “Triple Your Revenue with a Dedicated Sales Development Team.” The group will cover tactical tips for implementing and improving your top line revenue through a sales development team. Author of Agile Selling and SNAP Selling, Jill will lead the presentation called “Competitive Edge in Today’s Sales World.” She and her panel will reveal the sales skills you need to stay on top of your game and gain that competitive edge for which you constantly strive. Author, speaker, and referral sales expert Joanne Black will be part of the “Competitive Edge in Today’s Sales World” presentation. She will share in a lively discussion around fresh strategies you can leverage to develop individual and team sales mastery. 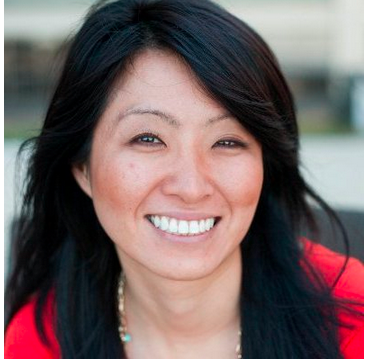 Josiane Feigon is a bestselling author, speaker, and futurist on inside sales 2.0 trends. She will be a panelist on the “Competitive Edge in Today’s Sales World” presentation, providing insight on how to master individual and team sales. Lori Richardson, B2B mid-market sales growth expert and social selling speaker, will cover “5 Strategies to Make You More Productive.” In this fast paced, interactive session, Lori will cover the top five strategies guaranteed to reduce stress from poor planning and how to start generating meaningful, long-lasting results every day. Sales Trainer at j.barrows, LLC, John Barrows will be an active part of the discussion in “Triple Your Revenue with a Dedicated Sales Development Team.” This presentation will focus on tactical tips for implementing and improving your top line revenue through a sales development team. High-profile sales influencers Mark Hunter, a.k.a. The Sales Hunter, and Anthony Iannarino of SOLUTIONS Staffing will present on “5 Mission-Critical Requirements to Establishing Value & Increasing Revenue.” As an added engaging element, they will open the floor for an interactive, social media-driven audience Q&A. Polly Sumner, salesforce.com's Chief Adoption Officer, will be joined by panel experts in “Sales Summit -The Top-line in Sales Leadership.” She will address tough issues like striking a balance between making this quarter's number and planning for the future. How do you manage to deliver in the short-term while keeping an eye on account development for the long-term? Discover these answers and more. Erik Charles, Principle Incentives Strategist at Xactly, will tell us “5 Things you Need to Know About Managing Sales Managers.” Check out this presentation and learn how to leverage big data to make more strategic decisions around hiring, managing, and promoting your people. Bluewolf CEO Eric Berridge tackles the issue of disruption in his presentation, “Digital Disruption: The New Rules of Customer Engagement.” You will learn how to unleash a business from outdated technology and drive engagement in a new mobile world. With a lineup like this, where else would you rather be October 13-16? If you’re ready to catch an unforgettable live show and learn from the best in sales, marketing, and social selling we’ll see you at Dreamforce.